Natural rise; twist front with ruffle frill. For in-store inquiries, use sku #2468848. 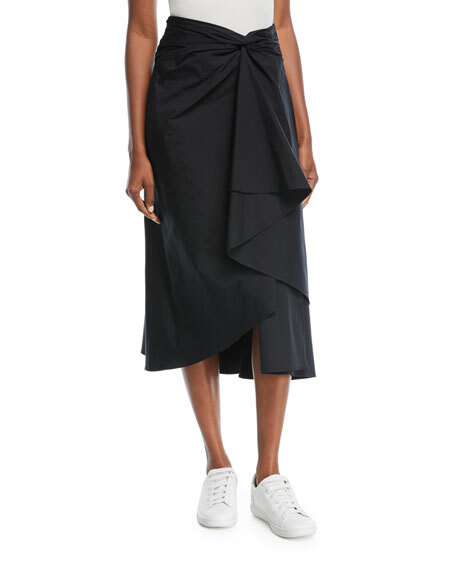 JW Anderson godet skirt in twill tech taffeta. Sits at natural waist. Two-way zip details. Buttons at front. A-line silhouette. Midi length. Polyester. Made in Italy. 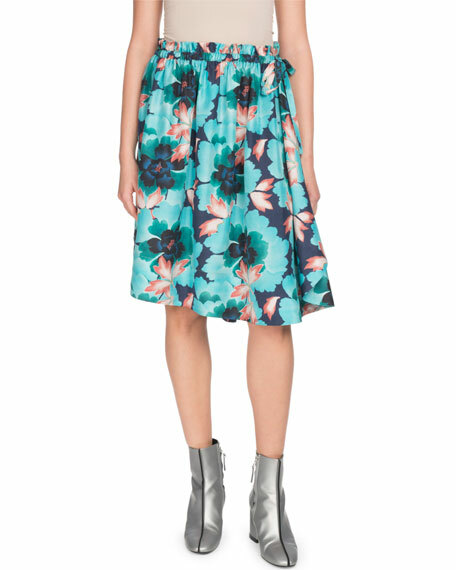 Kenzo skirt in floral-print. 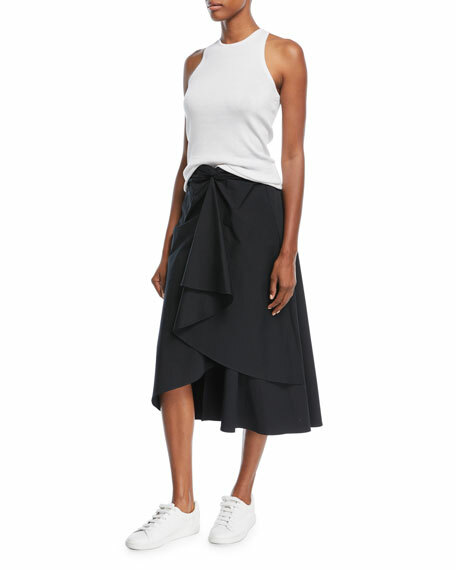 Ruffled waistband; self-ties at side. A-line silhouette. Midi length. Pull-on style. Silk. Polyester lining. Dry clean. Imported. 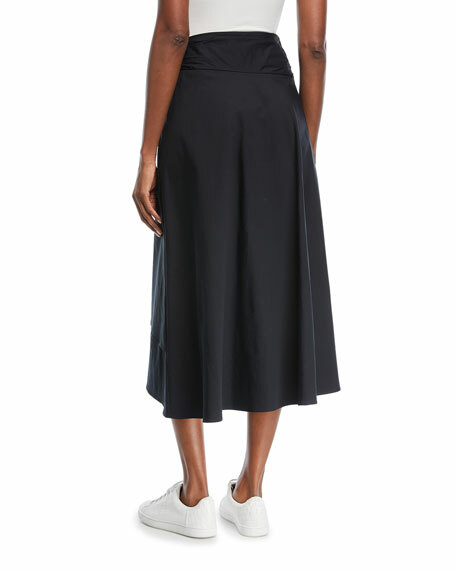 Kobi Halperin "Dakota" skirt. 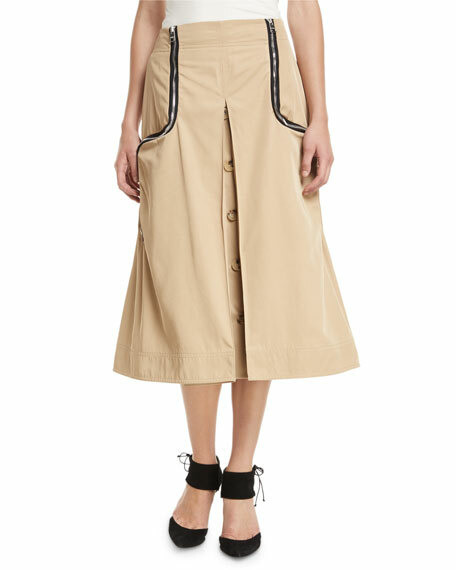 High-rise; belt loops at waist front. A-line silhouette. Midi length. Straight hem. Lyocell. Polyester lining. Imported. 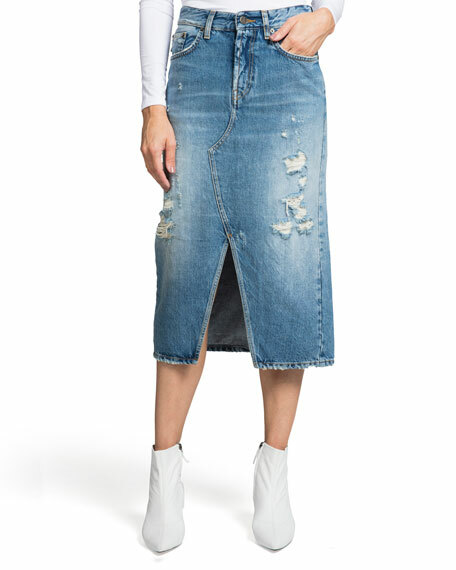 PRPS skirt in distressed denim with whiskering & fading. A-line silhouette. Five-pocket style. 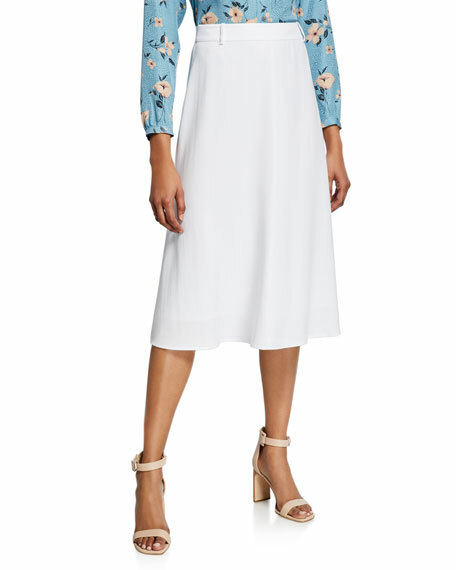 Front-split hem. Midi length. Button/zip fly; belt loops. Cotton. Made in Italy.